The camp has basic facilities that include a pit latrine toilet (long drop (pit latrine toilet)), a bucket shower and a fire place. There is no running water and the camp is unfenced allowing animals entry into the campgrounds, so be alert. 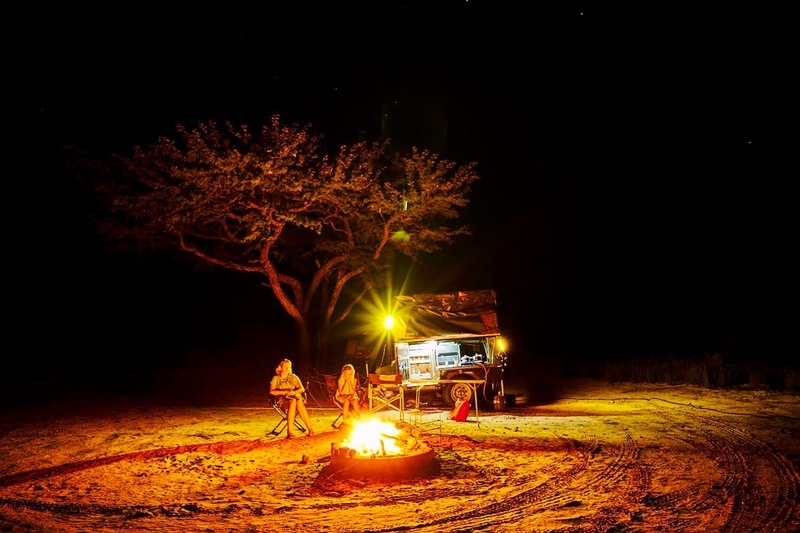 Campsites must be pre booked through Bigfoot Safaris and a 30 percent deposit paid to secure your booking. When the booking is secure, Park fees need to be paid through the Department of Wildlife at central pay points or at the entrance gate to Parks. For more information on pay points contact the DWNP at +267 3180774. (Mar-17). SADC rates are quoted. Notes: Botswana Citizen BWP88pp; SADC BWP120pp; Resident BWP190pp; International BWP350pp.Kids 8-15yrs pay half the rate accordingly; Kids under 8years stay for free. ADDITIONAL FEES: Vehicle entry fees: BWP10-BWP50; DWNP Park Entry Fees: Citizens BWP10pp; Residents BWP30pp; Non-Residents BWP120pp. Kids under 8 don't pay park entry fees. Kids 8-15 years: pay half the adults rates. (Rate info updated Sep-2017). Each campsite has got a bucket shower and a long drop toilet. (2016). There is no network in the park and it is advisable to use a satellite phone. (2016). The entrance gate opens at 06:00am and closes at 18:30pm. You are no longer allowed to collect wood from the bush in the CKGR, so remember to purchase your firewood beforehand! (2016). Borehole water available but visitors are encouraged to bring their own drinking water. You are no longer allowed to collect wood from the bush in the CKGR, bring your own firewood! (Oct-14).